One of the most important projects that highlights the power of Symphony’s Applied Clinical Analytics (ACA) process and methodology is called “Close the Loop.” This project was launched to ensure that patients with abnormal test results were getting the follow-up consultations and subsequent treatments they needed. Though electronic health records were meant to improve lives for both patients and providers when they were initially introduced, they often created new opportunities for error despite any good intentions. Patients were undergoing their normal tests, but some were still falling through the cracks and not receiving proper care. 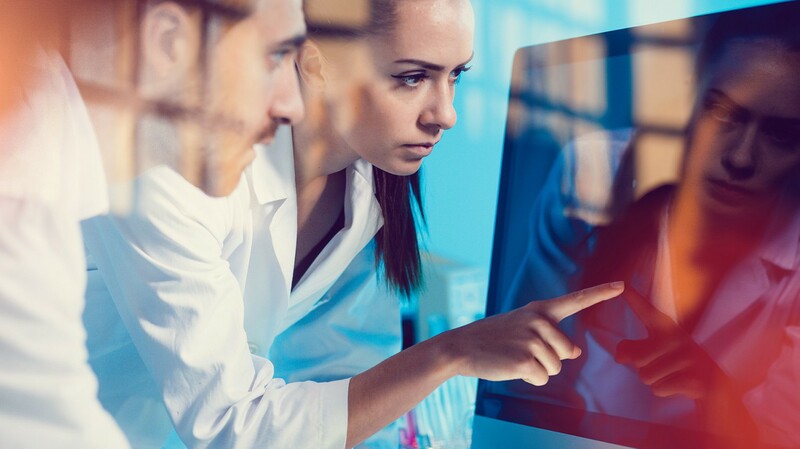 The standardized workﬂows built as a byproduct of having an EHR have introduced ways that tests can be entered into the patient’s record, and for abnormal results to be identiﬁed. While the system itself has an awareness of such results each of a patient’s providers won’t necessarily have access to the proper intelligence at the point of care—and thus won’t follow up appropriately. According to Jeff, around the time he began working on this particular issue, there were around 300 patients past the expected time slot for a follow-up appointment. In tackling this particular problem, Jeff and his team had to devise a solution that would allow providers to follow the workﬂows they were used to, but still help ensure that no patient was lost in the process. There were clear national guidelines published by the ASCCP that provided algorithms that took a woman’s age, the result of her pap smear and her HPV status and determined the appropriate pathway. These guidelines gave Jeff and his team the foundation to build their own analysis and ﬁnd women by age and HPV status to determine if they had been followed up with in the two week window. After correlating that information with appointment data from the EHRs, Jeff and his team could see the holes in the loop. Then, they could present that information to the patient’s’ primary care provider so she could be brought in for a follow-up. However, it wasn’t enough to just report these incidents, as Jeff indicated. “To generate information about a woman who is slipping through the cracks – it wasn’t useful unless there was a group dedicated to resolving that once they are aware of it,” he explained. For example, an OB-GYN can test a woman who shows abnormal results and notify her, but she might miss her follow-up appointment. The OB-GYN may try to contact her a few more times to remind her of the appointment, but for some reason there could be a missing link in their communication. As Jeff explained, there should be a way for that information (her test results) to reach her other care providers, especially a primary care provider. Essentially, this is the digital safety net that ensures patients are getting the follow-ups they need. In the ﬁrst four years of the program, the analytics team was able to close the loop on over 2,900 abnormal pap smears. “We built systems so that when the outreach was done, we could document how the loop was closed,” Jeff said. “People can get care in a lot of places.” However, that’s not always indicated in the EHR. Thanks to the “close the loop” project, the health system could then ensure that this information would be properly documented. Of the 2,900 loops closed, 273 went onto receive appropriate clinical care, while another 450 were documented as having received proper care from another source, according to Jeff. Jeff joined Symphony to apply ACA’s proven, repeatable methodologies to a broader patient population through Symphony Corporation’s clients and partners. Through Symphony, Jeff and his clinical analytics team provide free assessments to clients. At the end of the two-week assessment process, health systems can see real actionable opportunities from their data, as well as a roadmap for addressing underlying issues. To discuss how the Symphony ACA service model can be put to work at your organization, contact us to schedule an introductory call. Not another software solution and vendor agnostic. We turn your mountains of data into actionable clinical intelligence.